Good night loyal investors bitcoiner.com where the ICO information is warmly discussed and also has the potential for huge profits. This time I will share the ICO informatio one of the companies in Ukraine that is getting success on their pre-ICO. As we know that Ukraine is experiencing a very difficult economic crisis makes them have to think creatively in order to survive and can restore the situation to remain stable again. 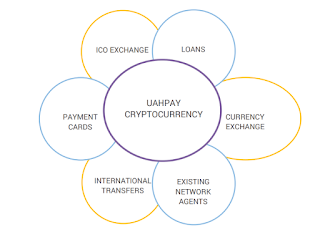 Is a company named UAHPAY which is holding ICO with offer banking services for cryptocurrency, debit card, and also trading platform and payment. A new innovation where cryptocurrency does require a bank as a guarantee of the resilience of the currency. It is common knowledge when a country in managing its economic life from the monetary sector will certainly certainly establish a bank as a party that controls the condition of its currency. Here they provide banking services as it should be just the currency served is cryptocurrency They also provide services for debit cards, payment platforms and also platforms for trading that all is destined to all people in all parts of the world. It's as complete as we need it. 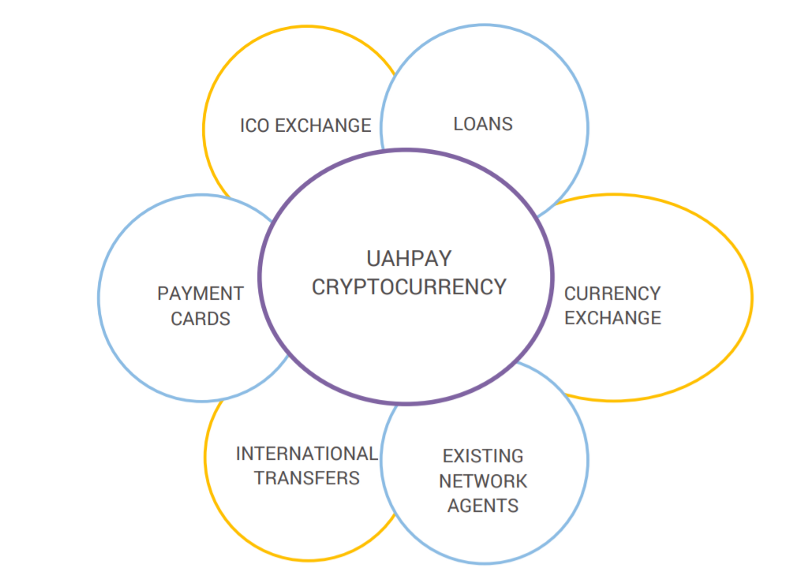 Supported by a strong team, UAHPAY has been preparing everything for the past year. Starting from setting up blockchain technology, trading platform and payment applications. A well-prepared preparation I think and is certainly far from being a failure. So, certainly for investors who do not invest funds here who will regret later after seeing a profit offer that can not be rejected just like that. What about the ICO system offered? Their ICO will begin for a month starting from October 22, 2017. That means their ICO is ongoing now with the following determinations. If you invest 300 USD you will get a bank account, a silver card, and a 5% UAH token bonus. Investment fund of 5K USD will get bank account facility, gold card, and bonus of UAH token equal to 12%. If you invest 10 K USD you will get bank account, platinum and UAH token 25%. As a note the unit price of UAH token is 0.04 USD, if you buy it in units. The UAHPAY Tokens will be allocated among the participants of the Pre-ICO and their ICO. Our advisors and management will also be issued tokens as our business progresses. PRE-ICO Participants will be allocated 10% of all tokens issued ICO Participants will be allocated 40% of all tokens issued. SECONDARY COIN OFFERING participants will be issued 30% of all tokens. Management Team and Employees will be allocated the 9% of all tokens remaining over time for performance bonuses. 1% of all tokens will be used for bounties during the Pre-ICO and ICO phase. Advisors & Political Advisors will receive 5% of all tokens for their insights and guidance. The final 5% of our issued tokens will be used as a company reserve for future project investment and lobbying efforts in Ukraine. For those of you who are interested to invest here please visit the page below for more details.